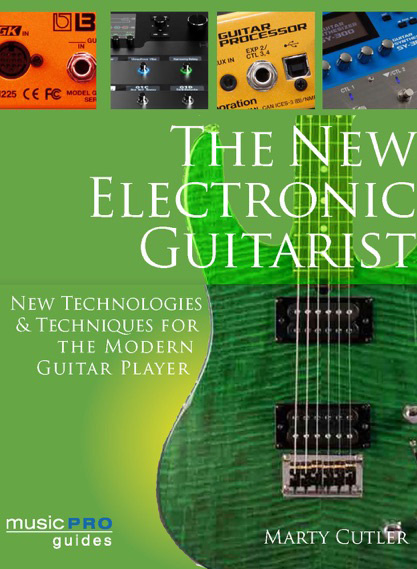 Aimed primarily at the guitarist who also wants to get to grips with MIDI and guitar synthesis, The New Electronic Guitarist manages to cover the subject in adequate depth without ever getting too complicated. It kicks off by exploring the nature of sound as it applies to music, then explains the workings of MIDI. The history of guitar synthesis and modern software alternatives, such as Jam Origin’s MIDI Guitar software, is explored in depth. There’s the theory, use and installation of hex pickups for those guitar synth systems that need them, while the book also introduces the guitarist to the concept of MIDI sequencing. It covers software-based amp modelling and guitar effects too, along with some excellent tips on how to set up your DAW to make the best use of MIDI guitars for playing virtual instruments. All the basics of sound synthesis are explained, both analogue and digital, while sampling is also covered, as is the thorny subject of latency when working with DAWs. 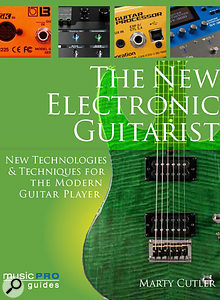 While the majority of the book deals with the world of ‘MIDI guitar synths’, there’s also coverage of guitar modelling as used by Roland and Line 6’s Variax, multi-effects processors including Fractal’s Axe-FX, Line 6’s Helix, Native Instruments’ Guitar Rig and IK Multimedia’s Amplitube. I would have liked to see a bit more on alternatives to MIDI guitars for creating synth-like sounds using some of the more ‘out there’ Electro-Harmonix pedals or plug-ins, and perhaps the eBow, though the Boss SY300 — which allows a standard guitar to produce some interesting synth-like sounds — is covered. Returning to the world of DAWs, the book takes a quick look at all the mainstream packages before delving in to the world of plug-ins, with a closer look at Spectrasonics’ Omnisphere, NI’s Kontakt and some of the other more popular virtual instruments. It also takes in the basics of recording and editing using a DAW, focusing on processes that are particularly relevant to MIDI guitar users, such as setting a different MIDI channel for each string. There’s even a glimpse into online collaboration with other musicians, some tips on live performance and a section on problem solving. Overall, though, the book (ISBN 9781495047459) is very well written, extending to over 200 pages, and is highly recommended for any guitar player wanting to know more about guitar synthesis and DAW recording.